LiFT: Tell us something about you? Aditya: Author by passion, Translator by profession. A routine guy with dreams of gaining the reputation of a great writer. Poet sometimes, a traveler most of the times (Not because of being a Mumbaite but by heart). A person with simple taste but classy when it comes to luxuries. A friendly individual who belongs to the go-getter community. Not so shy but not likely limelight lover. Aditya: I wrote my first essay in 2006 for a school magazine, the teachers loved it. It inspired me to write more. Then for almost 6 years, there was nothing from my pen and even I never thought of sitting and writing something. In fact, if you would have seen my handwriting that time, probably you would have thanked me for not writing. But then from the year 2013 onwards, I started blogging, writing multiple things. Nothing of it was ever published though it was heard and liked by many. So I did recitation for a few years. 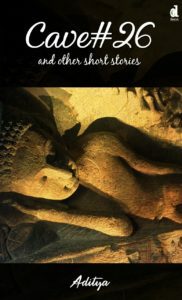 Somehow in 2017 I was convinced that I can publish my thoughts, short stories by the Hebrew writer Etgar Kerret, Ruskin Bond, Sudha Murthyji inspired and gave me the final thought of ‘lets do it’ about publishing the book. 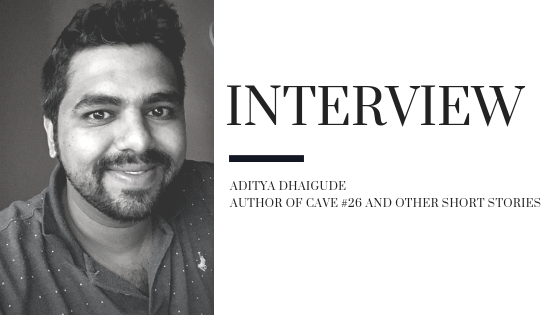 Aditya: The Literary world is an ocean and being an optimistic thinker I really don’t find any book as a nightmare, as everything that is written has an emotion behind it, be it a remix song or even some mind-boggling EDM track. Be it a one-liner full of slangs or a whole novel of maybe 1000 pages. Everything exists for a reason, so that’s alright if it doesn’t attract you. Expectations are by me and for myself that I haven’t read all of the books of the world but whatever I would be writing further would be full of research. I don’t want to call myself as a baseless writer (maybe I can digest if I am hopeless). So what is yet not there on the stands, my job is to bring it on the stands. Aditya: These days cardamom is sold with silver lining on it, then why not a book with silver lining should be sold with some more shine. Off course context matters but the difference lie in the psyche of the writer. If he/she wants his words to make money for him/her, spend some stash, the world is ready for dancing. But the best part I ever liked in any script ever was The Karate kid making the snake move with just eyes. Yes, that would be a skill if even writers learn it. At least I am striving for it, seriously! Aditya: I like short stories, she likes novels, he likes dialogues, the neighbor likes the whole film, her husband loves to read poems….guys there is so much to write. If you feel like writing. Not limiting ourselves with any particular subject or medium to try our hand at writing is the key. The writing would not sound perfect enough. It wouldn’t be. But its an experiment, how can that be perfect? There are many things which you have got to cover, you can’t stay stuck up on someone of your creation. Aditya: I work as a translator. Yes, somehow associated with writing. But there I work as a transporter for words. I even do subtitling. Depends what fills me for the longest time and pay my bills. I like watching movies. And since last few years, American/UK television series has occupied my mind. Shows such as Lucifer, Suits, Breaking Bad, Limitless, Crown etc. have just made me think that television can be such an interesting platform too. Indian markets have always been commanded by the seller, but the shows I have mentioned above says that how people can even get to see something really interesting than just destroying the cultural values. Aditya: I either go out for a long ride on my Bullet. Sometimes simply plan a stay at some place and try and write there. I have a second home at some good distance from Mumbai, where life becomes slow and then the brain starts playing its tunes which I simply bolt on the paper. Aditya: I am looking forward to doing that. Akshay Kumar, Naseeruddin Shah and if my stars are high enough then my all time favorite, Sir Amitabh Bachchan. I would like to give Vikramaditya Motwani some really great stories, written by me. I have an outline of a story ready which I thought with keeping Matt Damon mind in Bourne films. Let’s see if that can really become possible. Its all a will, after all, no regrets even if it doesn’t come into reality. Aditya: I already have a story ready which is suitable for a biopic. I am struck with a bloc for that proceeding. I have translated a travellography of an Indian surgeon. A doctor who spent 12 years of his life in East Germany (yes this name is correct). The book is getting into the publishing process and it would be available for free. So this would somehow take my name as a translator overseas as he has traveled most of the greatest countries of the world and he has friends there who were willing to read his experiences in English. So I am excited for this book to be released. Aditya: Share your inputs with buddies like me, I would share mine. Learning is a co-operative process. More you read, more it opens your mind. Breaking paradigms happen in writing by reading. Be it books, minds or even situations. It’s not about what you read, it’s about how your consciousness processes the information of what you read. It’s not the greatest vocabulary you use in writing wins the heart of the reader, but how honestly you have written it. Yes, it’s my opinion that literature is not always teaching the language but it is for touching the hearts. Words can be weapons, they can be rose petals, they can demolish the whole empire like what happened with Peshwas, and they can build great countries like Singapore. So use your words to touch the hearts and not only to make some box office collection.